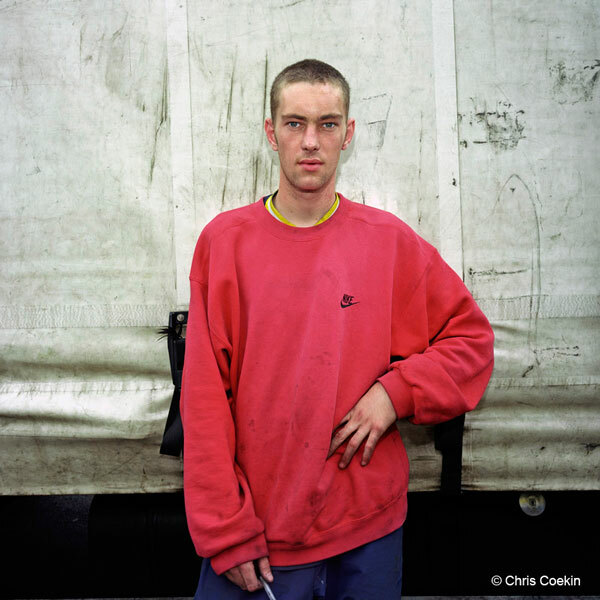 Chris Coekin (b.1967, Leicester UK) is a photographic artist. 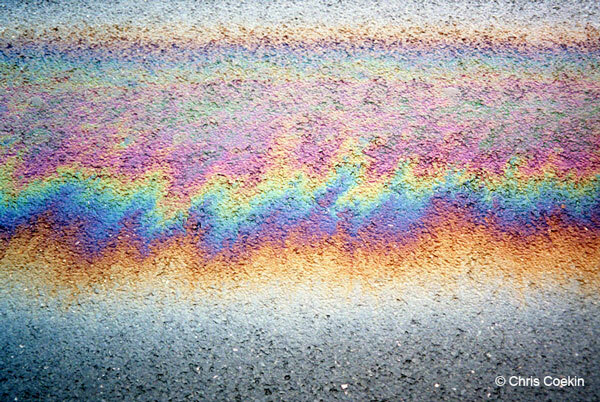 His practice is predominantly concerned with contemporary British culture. Before embarking upon a career as an artist Coekin worked in the building trade. After stints travelling and living in Europe he completed a BA and MA in photography. He has had two photographic books published. Dewi Lewis Publishing published his first book, Knock Three Times (2006). It was nominated for the Deutsche Borse Photography Prize 2006/07 and won Photo District News' best photography book 2007. Walkout Books/The Photographer's gallery published his second book The Hitcher (2007). He has exhibited his work nationally and internationally including a solo show, The Hitcher at The Photographers' Gallery, London (2007) and more recently a solo show at The City Gallery, Leicester (2009). He has also been included in group shows at Foam Gallery Amsterdam (2009) and the Lodz photography festival, Poland (2007). Wolverhampton Art Gallery, UK, will be presenting a major exhibition and installation of his new work Manufactory/The Altogether during summer 2011. He is also senior lecturer in photography at the University for the Creative Arts, UK. 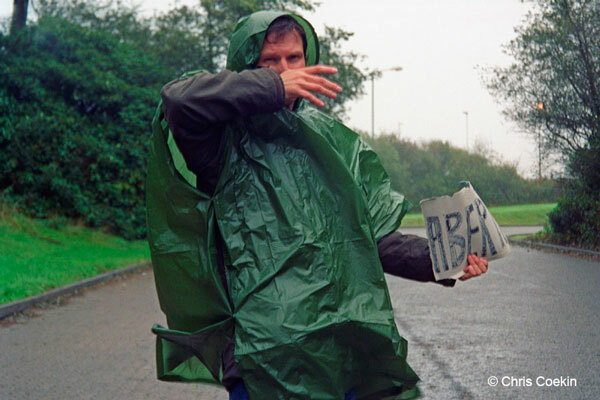 Chris Coekin has hitchhiked the length and breadth of the UK and across Northern Ireland, in a series of trips, since 2000. His journeys have taken him as far as John O'Groats to Land's End, at times in gruelling conditions. The resulting work provides a record of his adventures and observations. Coekin used two different cameras to make the work featured in The Hitcher. A small snapshot camera, often with the self-timer, was used to record self-portraits, and to document roadside finds. A professional, medium format camera was employed to take photographs of the people who have made the impulsive decision to give him a lift. Cardboard signs, scribbled onto old cereal packets, serve as indicators of his travels. In the process of making the work, Coekin becomes both protagonist and performer -- though unlike the hitchhiker in the 1986 horror film of the same name, his travels lead him not to murder, but to make a body of work.